Vue 2.0 Project Boilerplate. - Vue.js Feed Vue 2.0 Project Boilerplate. Clone the git repo git clone https://github.com/cklmerver/vue-stack-2.0 Change into the directory cd vue-stack-2.0 Open ./public/index.html with your browser. Visit ./app/store.js to add properties to your global store. Pre-initialize these properties and they'll be reactive just like other properties in your component's data option. You can access these properties from from within any component using the store option or via vm.$store. See vue-stash for more details regarding the global store. Since the vm.$dispatch and vm.$broadcast events have been deprecated, vue-stack-2.0 leverages vue-events to simplify event handling. 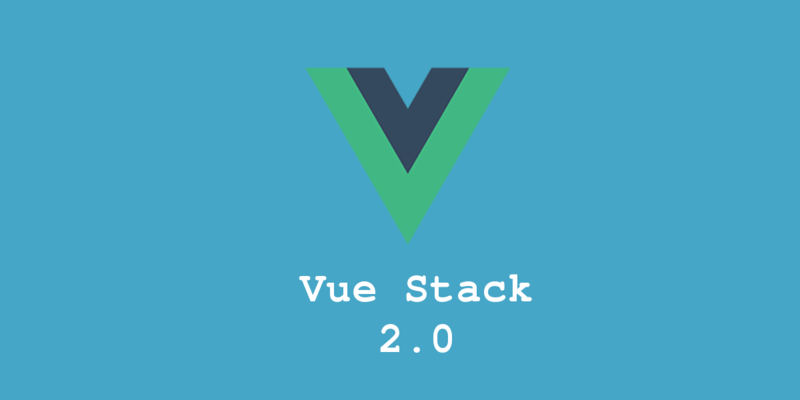 vue-stack-2.0 leverages the latest vue-router. To get started, checkout ./app/routes.js. Visit the Github page for more.